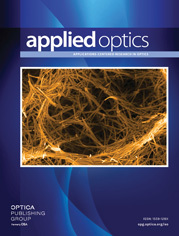 The authors are with the Department of Electrical and Computer Engineering, The University of Arizona, Tucson, Arizona 85721. Research in the field of free-space optical interconnection networks has reached a point where simulators and other design tools are desirable for reducing development costs and for improving design time. Previously proposed methodologies have only been applicable to simple systems. Our goal was to develop a simulation methodology capable of evaluating the performance characteristics for a variety of different free-space networks under a range of different configurations and operating states. The proposed methodology operates by first establishing the optical signal powers at various locations in the network. These powers are developed through the simulation by diffraction analysis of the light propagation through the network. After this evaluation, characteristics such as bit-error rate, signal-to-noise ratio, and system bandwidth are calculated. Further, the simultaneous evaluation of this process for a set of component misalignments provides a measure of the alignment tolerance of a design. We discuss this simulation process in detail as well as provide models for different optical interconnection network components.